We customize performances to suit your events. 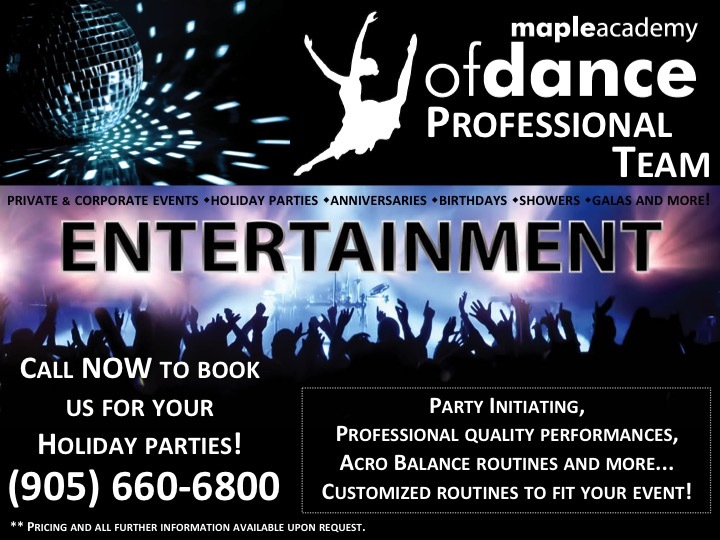 Contact us to see how we can add entertainment to any occasion! Call (905) 660-6800 for more information and pricing.